The Terminator is a 1984 science fiction/action film featuring former bodybuilder Arnold Schwarzenegger in what would become his best-known role. 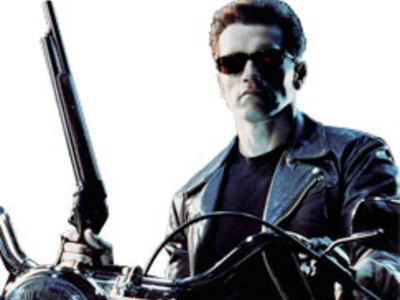 The sequels to the movie, Terminator 2: Judgment Day and Terminator 3: Rise of the Machines, further developed the story line and explored the ethical implications of machine intelligence as well as what it means to be truly human. Schwarzenegger is a Republican, and was first elected on October 7, 2003, in a special recall election to replace then-Governor Gray Davis. 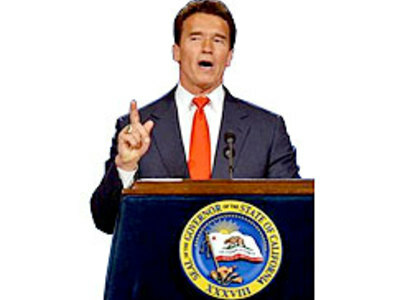 Schwarzenegger was sworn in on November 17, 2003, to serve the remainder of Davis' term.